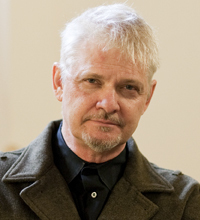 Mark Lewis Taylor is Princeton Seminary’s Maxwell M. Upson Professor of Theology and Culture. He earned his MDiv from Union Theological Seminary in Virginia, and his PhD from the University of Chicago. A member of the Presbyterian Church, he frequently teaches and lectures in churches and supports church communities in their efforts to organize on justice and peace issues. Since 1987, he has studied regularly in Guatemala and Chiapas, Mexico, where he analyzes the cultural and political dynamics of the churches as they move closer to a contextualized Mayan theology that also facilitates resistance to military repression. He is coordinator for Educators for Mumia Abu-Jamal. His regular teaching duties focus on the theologies of Paul Tillich and Gustavo Gutierrez, with full courses also on white racism as theological challenge, feminist and womanist theologies, empire and capital in theological perspective, and cultural-political hermeneutics.